That’s right, Anime Limited have taken a slightly different approach this time around. Rather than announcing TV shows on the first day, all the titles announced were films! Even better, they’re coming to UK cinemas! 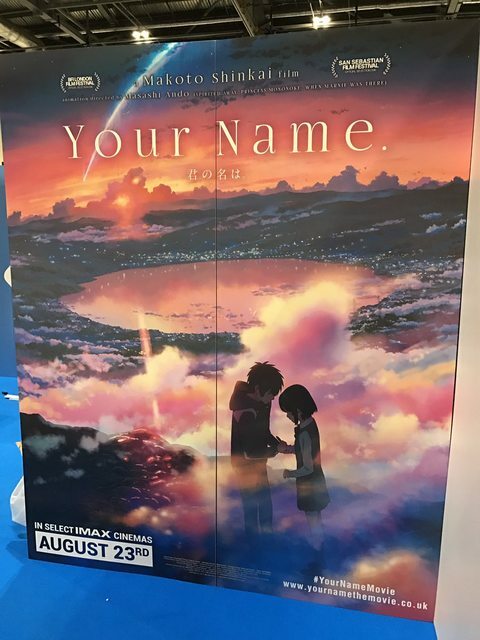 First things first: here’s a quick reminder that Your Name is coming back to UK cinemas on 23rd August in both standard and IMAX screens which is a neat bonus. We recently made an article here but more information has cropped up. The IMAX screenings will be Japanese with English subtitles only while the standard will offer both English dub and Japanese with English subtitles. There is currently no news on the home release just yet but placeholder pre-orders are available across Anime Limited’s shop and Amazon UK for instance. 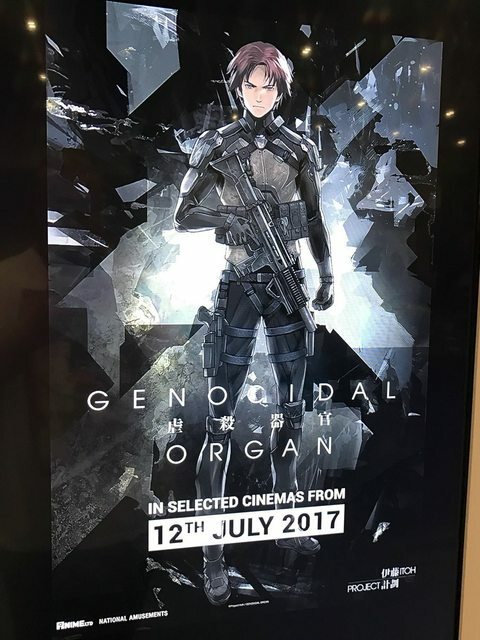 Next up we have Project Itoh: Genocidal Organ coming to UK cinemas on 12th July. This is the third film in the Project Itoh anime trilogy. Originally the first to be released, studio Manglobe sadly went bankrupt but members who worked on the film have formed a new studio to finish the production. The film was released in Japan on 3rd February 2017. The original novel Genocidal Organ is available to read entirely in English from Viz Media’s sci-fi novel publication Haikasoru. For those who don’t know, Project Itoh is the name of the Japanese novelist who wrote Genocidal Organ as well as Harmony and The Empire of Corpses, two other novels that also were adapted into anime movies. Project Itoh sadly passed away in 2009 before he could finish the Empire of Corpses. Anime Limited have released both Harmony and The Empire of Corpses on Blu-ray and DVD and it is available in both English and Japanese audio options. Next up we have the two Masaaki Yuasa movies released this year. 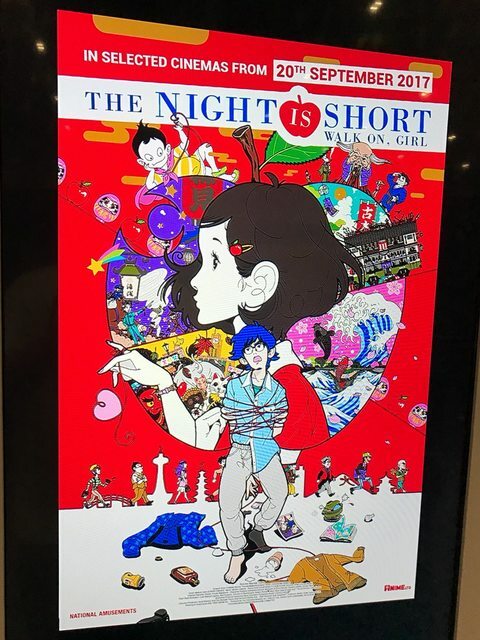 The first is The Night Is Short, Walk on Girl, known in Japanese as Yoru wa Mijikashi Aruke yo Otome, based on a novel written by the same creator of The Tatami Galaxy. The film was released in Japan on 7th April 2017 and will receive a UK theatrical release on 20th September 2017. 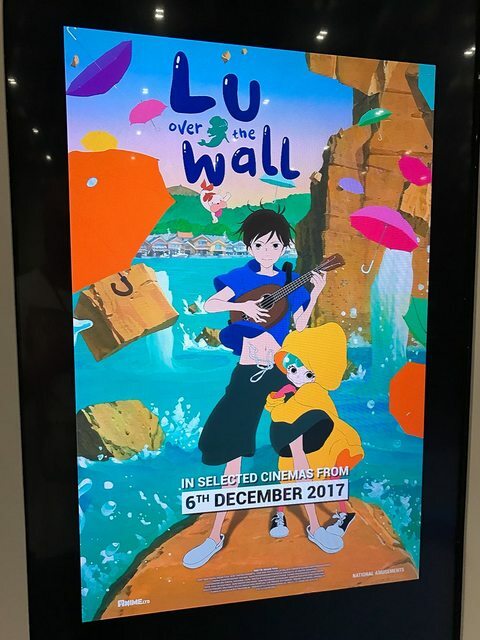 The second is Lu Over the Wall, known in Japanese as Yoake Tsugeru Lu no Uta, an original anime film also directed by Yuasa. The film was released just this month on 19th May 2017 and will receive its UK theatrical release a little later than expected on 6th December 2017. Both of these films were animated by Yuasa’s new animated studio Science SARU. The studio will also be working on the upcoming Devilman: crybaby project coming to Netflix in 2018, you can find more info on that here. Anime Limited are pretty huge fans of director Masaaki Yuasa and have already acquired a number of his works already! They currently have the rights to Genius Party (which the director worked on the Happy Machine segment), Kick Heart (as part of the upcoming Pigtails and Other Shorts collection), Ping Pong the Animation, and The Tatami Galaxy; the latter two are available to own on Blu-ray. 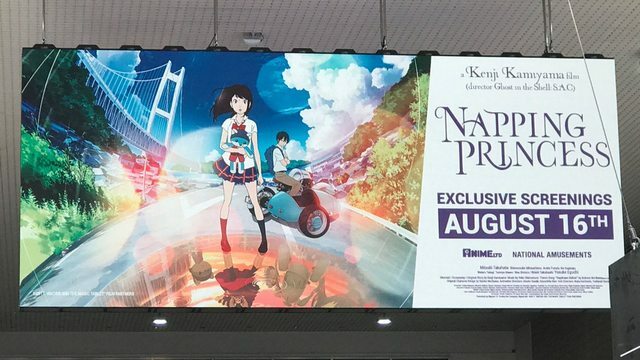 Announced earlier in the year we now have more information on the upcoming theatrical release for Kenji Kamiyama’s latest directorial work Napping Princess, also known as Ancien and the Magic Tablet and Hirune Hime: Shiranai Watashi no Monogatari. The film will be coming to UK cinemas on 16th August. Yen Press have the rights to the novel if you want to check out the source material! 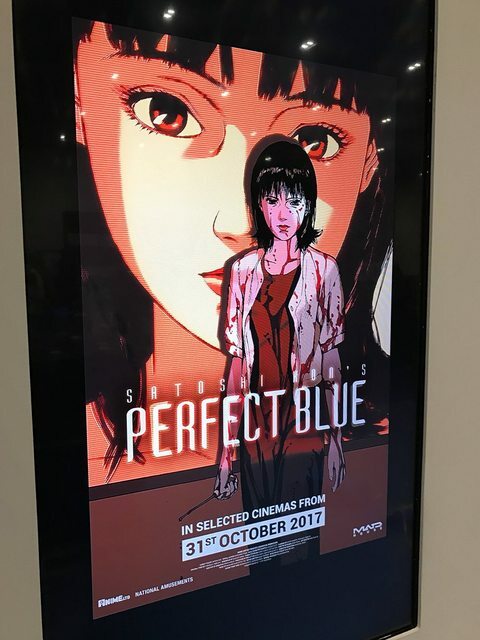 Celebrating its 20th anniversary, Satoshi Kon’s Perfect Blue heads to UK cinemas on Halloween aka 31st October 2017. This was the second title Anime Limited released on home video after Cowboy Bebop, and its still available to own on both Blu-ray and DVD! 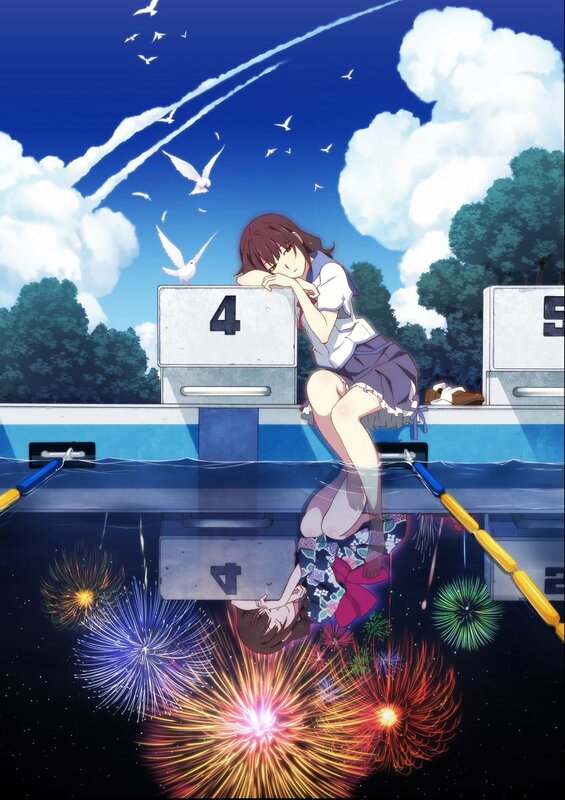 Also coming to UK cinemas but doesn’t have a release date just yet is the upcoming movie from studio SHAFT, known for adapting the Monogatari franchise into anime form; Fireworks, Should We See It from the Side or the Bottom?. 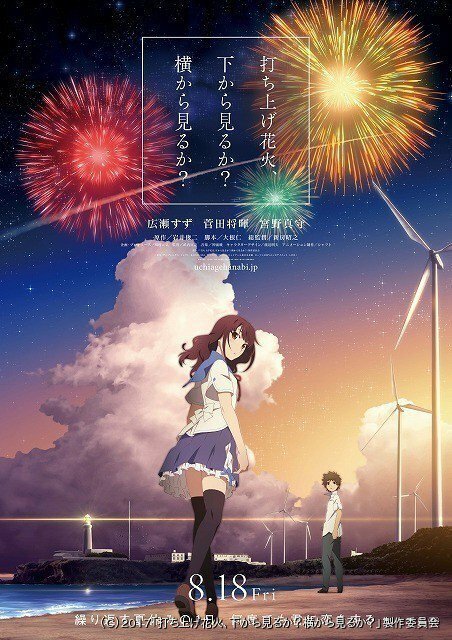 Known as Uchiage Hanabi, Shita kara Miru ka? Yoko kara Miru ka?, the upcoming film is due for 18th August 2017 in Japan and is based off the 1993 television film of the same name from Shunji Iwai. Akiyuki Shinbo and Nobuyuki Takeuchi will both be directing the film with Satoru Kōsaki composing the music and Akio Watanabe as character designer. Last but not least we have Miss Hokusai coming to iTunes as a digital download on 26th June 2017. The film is already available to own on Blu-ray and DVD from the distributor in both standard and ultimate edition formats. Stay tuned as we will have more Anime Limited announcements prepped up during the weekend. I’m curious, to see what they have…. It’s the third & final day of MCM London Comic Con for May 2018! Here are the last batch of announcements from Anime Limited.